I’m not saying I was a health nut. After all, I also used to fry up bologna, douse it in ketchup, and stuff it between two slices of white bread. Gordon Ramsey I was not. But at least I made a few healthy choices back then. Ironically, if you step inside my kitchen today, you will find Special K in the pantry and Fresca in the fridge. 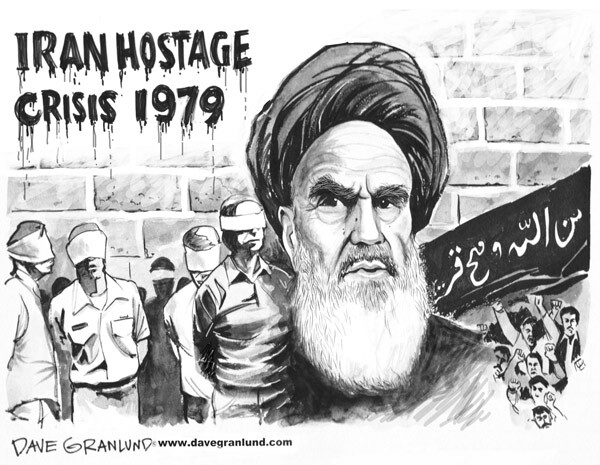 Which means it’s either 1979 or Some Things Never Change. I’m going with the latter, but a few fun facts about 1979 just because: The Dukes of Hazzard debuted on CBS, McDonald’s introduced the Happy Meal, and the smallpox virus was eradicated. In reality, the Special K and Fresca are on hand because of my newfound dietary needs. Do you have any idea how hard it is to find a cereal that is not loaded with carbs? Let’s just say I won’t be listening to any snapping, crackling or popping in the morning anymore. And diet sodas are considered a “freebie” for diabetics. Not that I’ve ever thought of Fresca as a diet soda, but it does have zero calories and is sugar-free. That’s the good news. The bad? It’s sweetened with aspartame. Which means my glucose levels won’t go up, but I might end up with cancer someday. 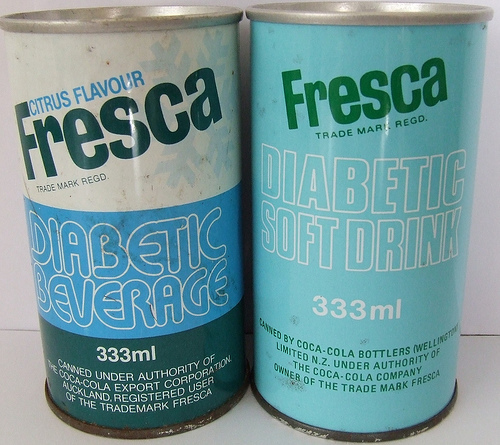 Apparently, once upon a time Fresca was even marketed toward diabetics. Interesting. I always just liked the taste. Kind of grapefruity. What unusual foods or drinks did you like when you were younger? And are any of them still in your kitchen today? OMG, Mark, I didn’t even think they made Fresca anymore!?! I LOVED it! In fact, I would always order it whenever I was flying because they offered it on planes. I ate both Special K and Frosted Flakes as a kid, however, the last time I tried Frosted Flakes it was WAY too sweet for me. Now, I eat a granola cereal from Trader Joe’s for breakfast. Tang was something I used to drink when I was a kid too. However, even that tastes too sweet and artificial to me now. I recently rediscovered Tang, and you’re right – it’s sweet. Given my current dietary restrictions, I guess I’ll have to “undiscover” it and leave it to the astronauts to drink! The astronauts do still drink Tang, right…? Well we share the act of eating banana slices in bowls of orange juice. So that’s one oddball food binge. My undoing is croutons. I eat boxes of croutons like they are popcorn. Mmmm. I almost mentioned the banana slices in orange juice thing, too! But I figured, if Jess Witkins does it, it can’t be THAT weird! I love croutons, too. Or I should say, loveD them. They’re not worth the carbs nowadays. All soda tastes better in glass bottles! I bought a case of Coke in the small holiday-themed bottles right before Christmas. Dammit. Wish I could get my money back now. We used to eat chicken livers, hearts, and gizzards. NO, they are not in my pantry. Same with oysters in oil in the tin….I also used to eat Lima beans…. Now that I think about it: WTF was my mom feeding us??!! I used to eat gizzards and hearts, too! We thought they were a delicacy. I thought you still ate lima beans, btw. You raved about them during our food challenge! I still love Spagettio’s with meatballs. I have eaten them since I was a kid. And they have be the round regular ones…no alphabet letters, no funky ones…and none with the hot dogs! I tried Spaghetti O’s during our spaghetti food challenge in 2013. Let’s just say I was not impressed…but as a kid, yeah, I loved ’em! And the ravioli, too. I loved Kaboom cereal. I also liked Fizzies, which were little colored tablets you put in water and it turned into ‘pop.’ That was about the only science I ever enjoyed! I have never had either Kaboom or Fizzies (which sound like Alka Seltzer for kids). Apparently I’ve missed out! never heard of Fresca, but I’m young and from Australia. I was fed mushy Weet Bix as a kid – that’s mashed up Weet Bix and milk. I can’t eat it today purely because it just looks disgusting! But Special K meets my diabetes needs nicely – low GI and not carb loaded! And I’ve never heard of Weet Bix, but if it’s mashed up and served with milk it doesn’t sound very appealing at all – either from a visual or taste standpoint! Hmm this one really had me scratching my head. I was a pretty normal kid. But I am told that my weird food habit is watermelon with salt. I find it very normal but I am told it is odd…so there ya go. And yes I still eat it. All the time. Actually, I have tried watermelon with salt – I don’t think it’s weird! I hate watermelon (always have), so Tara suggested I sprinkle some salt on it. Can’t say it really improved the flavor for me, though. But at least you are not alone in your “weirdness”! I used to like Fresca too in my younger days but really don’t like it now. What about Pepsi Free – the one sweetened only with Stevia? Do you have that down there? In Canada it’s packaged in a green can. I use Stevia to sweeten my coffee & I really like it, but I don’t like this Stevia sweetened Pepsi at all – to me it’s too sweet tasting. I think they really should maybe add some lime to it. I’m not a Pepsi fan – but even if I were, I don’t think we have it with Stevia down here. Stevia rocks, though. It’s my sweetener of choice.